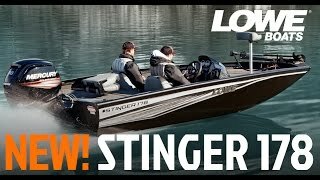 The Lowe Stinger 178 finds the perfect balance between serious fishability and best-in-class features. 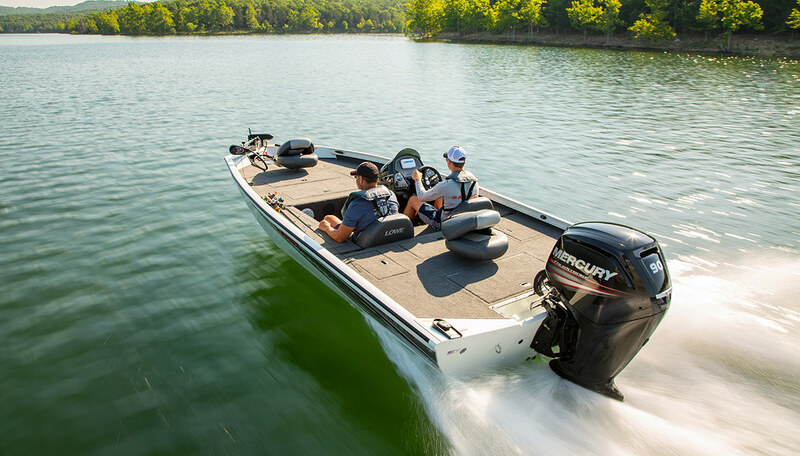 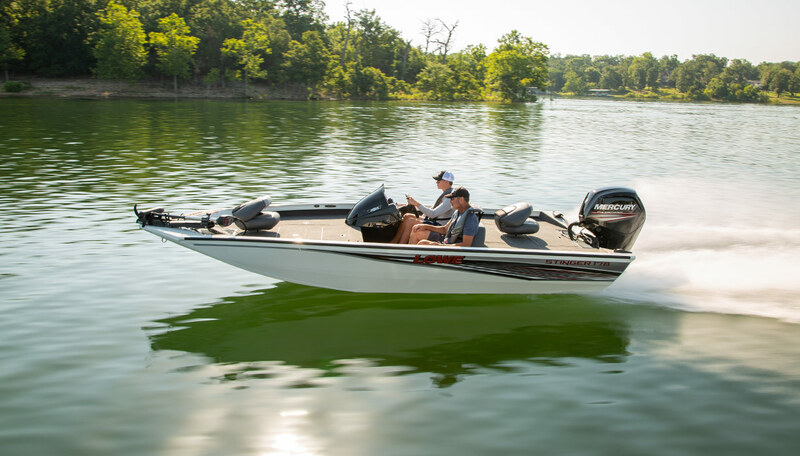 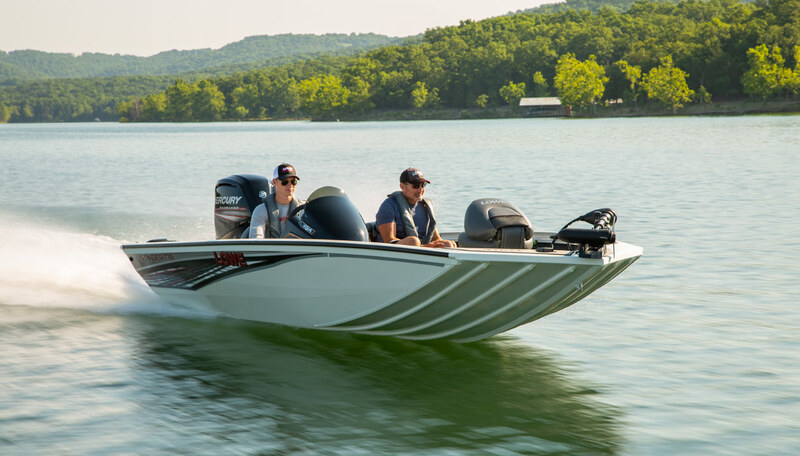 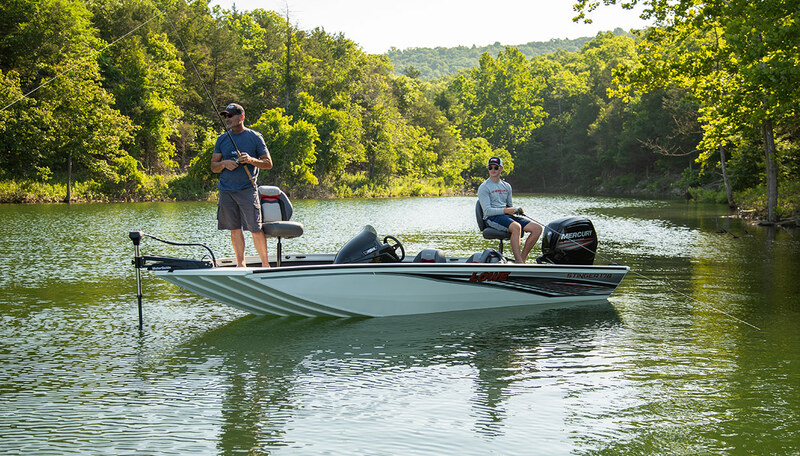 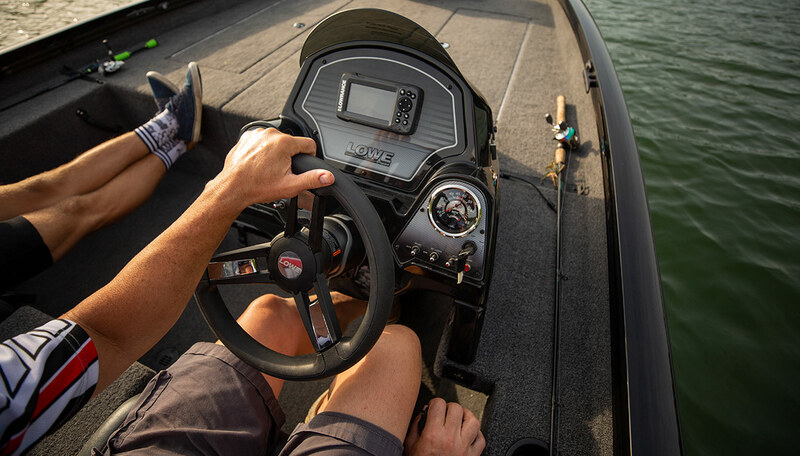 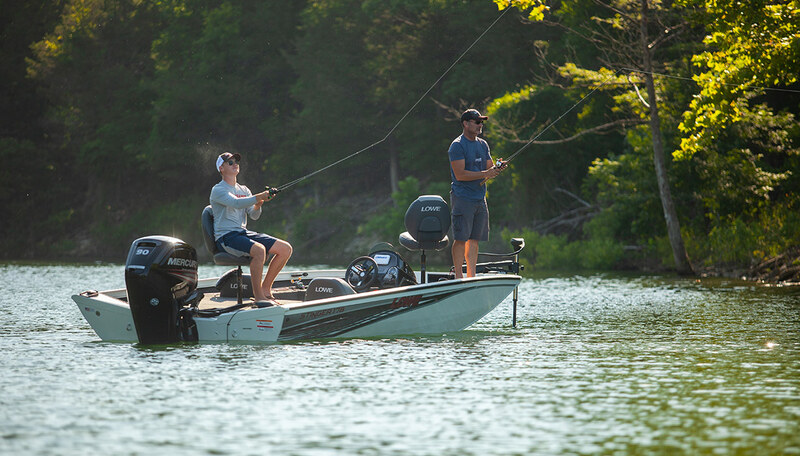 From providing a super-stable fishing platform to super-fast hole shots — not to mention sleek styling upgrades inside and out — it’s the midsize bass boat that offers it all. 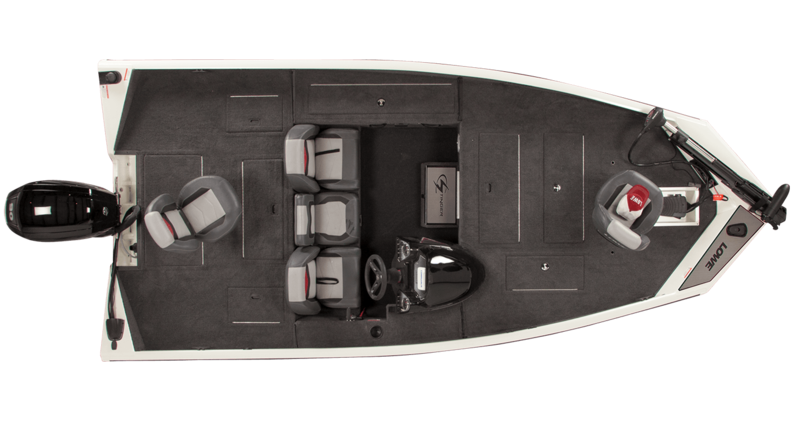 The Stinger 178 features a wide 94" beam to provide over 70 square feet of fish-fighting space. 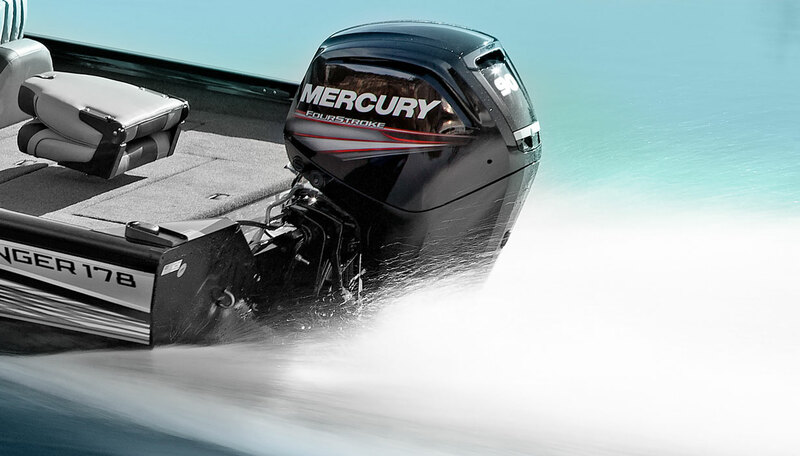 An industry-leading 90 horsepower Mercury outboard gets you to your fishing spot fast and can handle higher speeds, greater stresses, and bigger fishing action than the competitors. 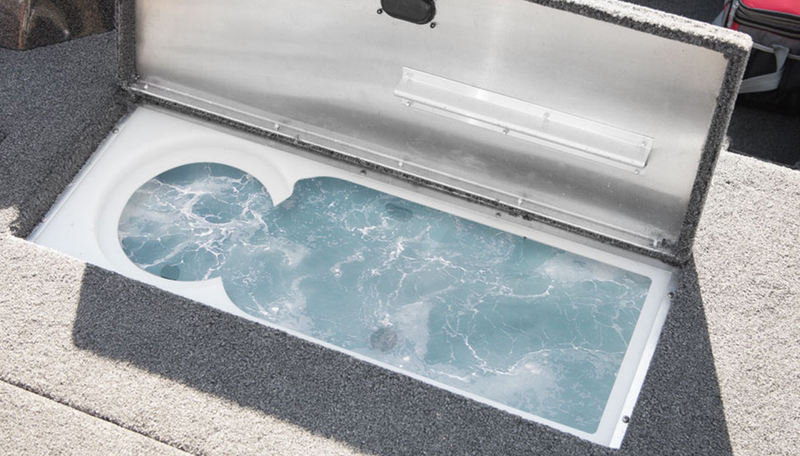 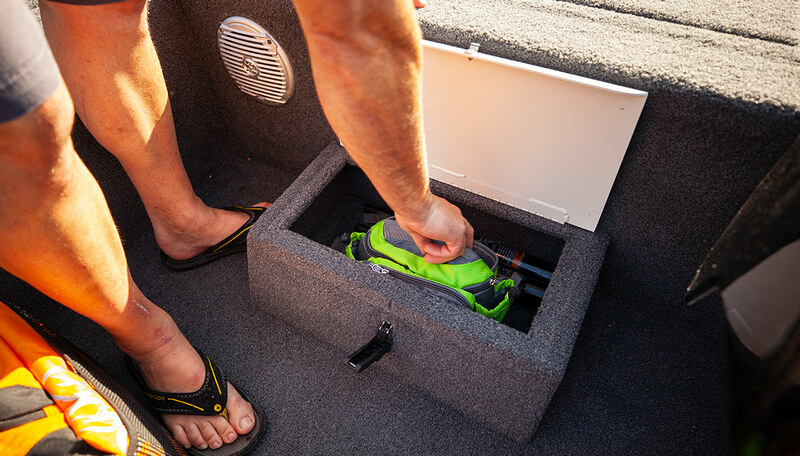 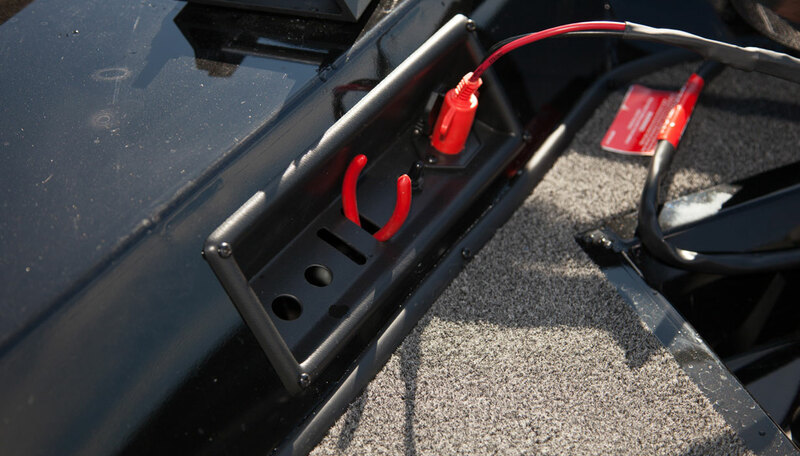 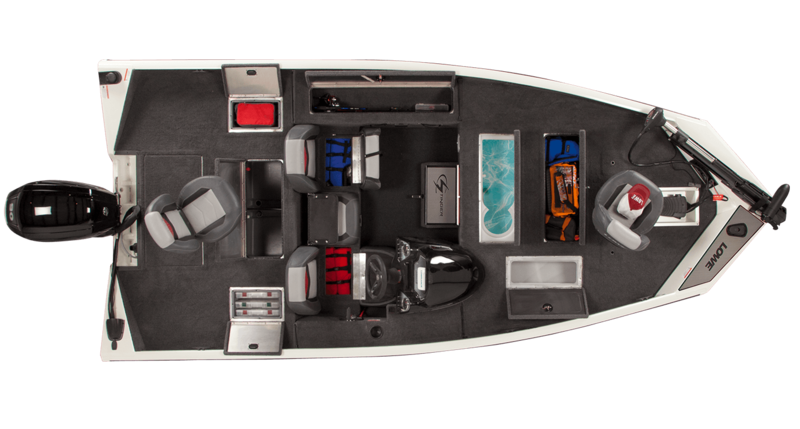 A premium metal flake fiberglass console with red backlit console includes a huge storage space for gear and lure trays. 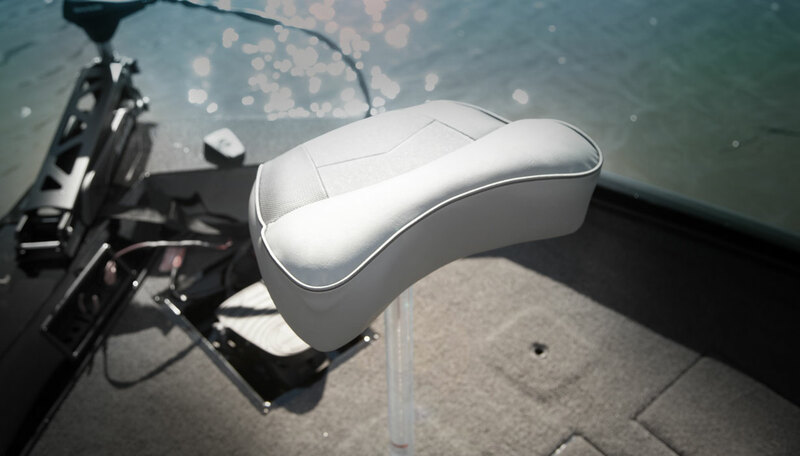 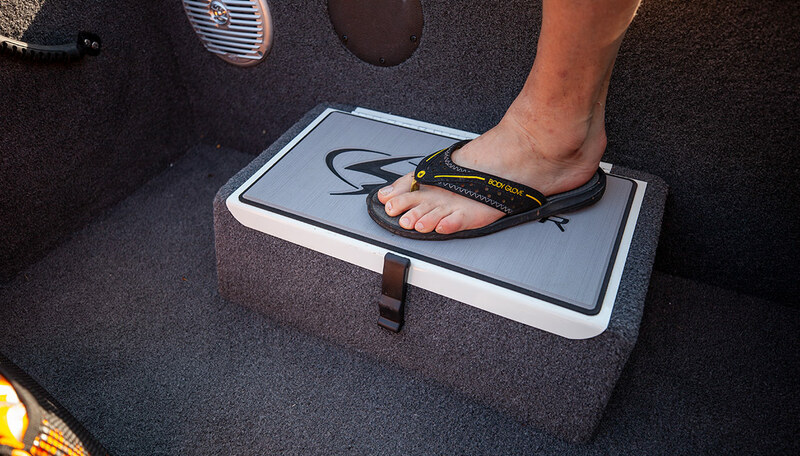 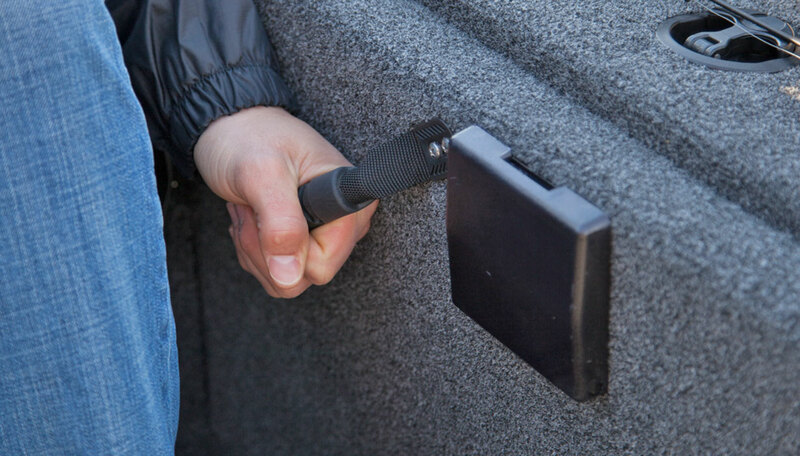 Tournament-style seats are more usable and comfortable than ever for longer days on the water. 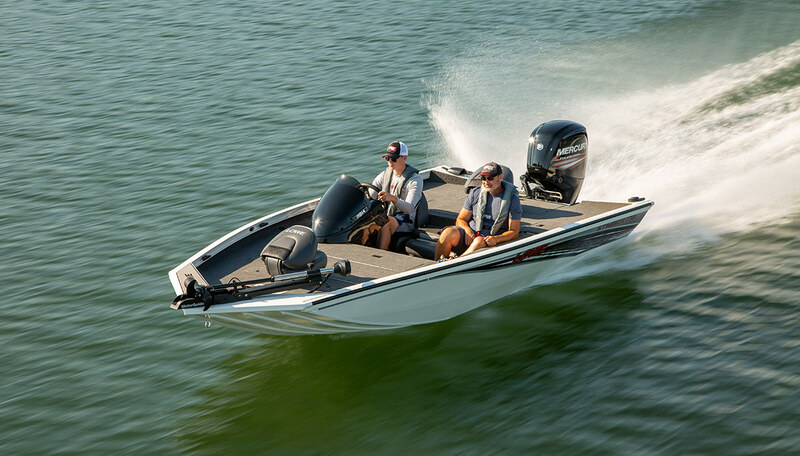 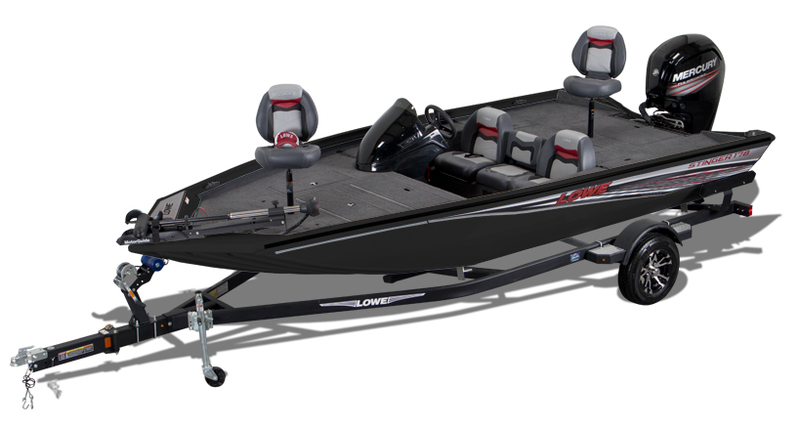 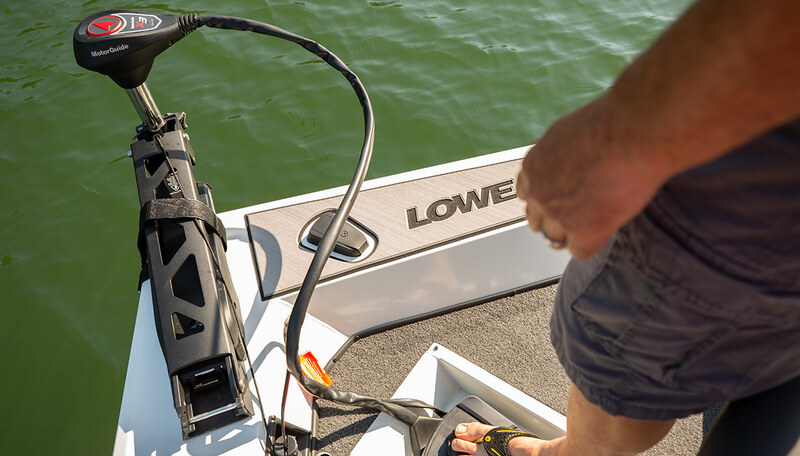 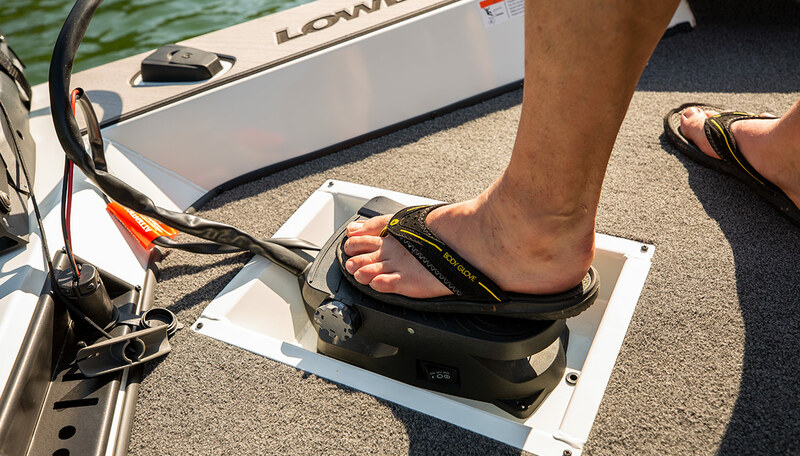 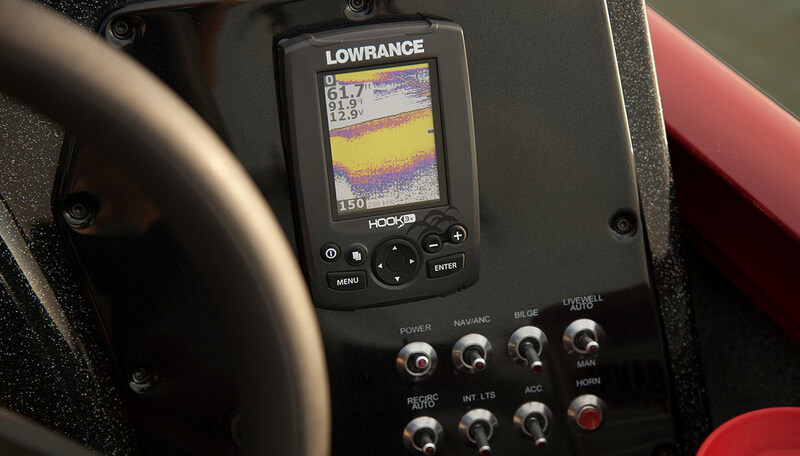 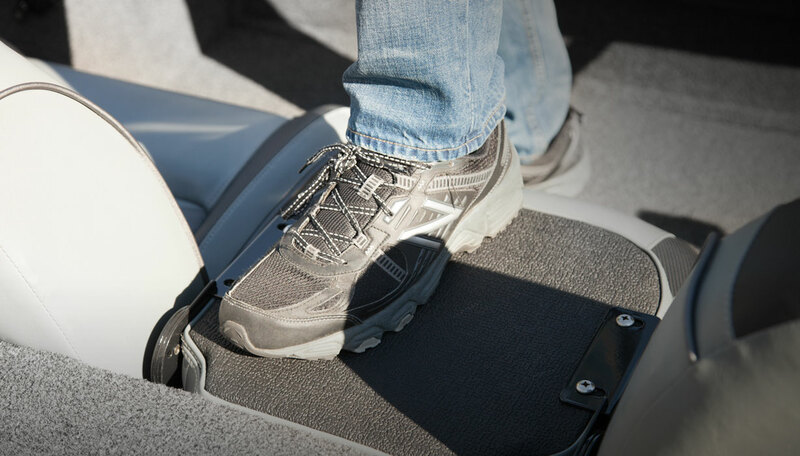 Complete with lockable rod storage, two livewells, a Lowrance fishfinder and a MotorGuide trolling motor, this is the serious tournament-style bass boat designed to outperform the competition.